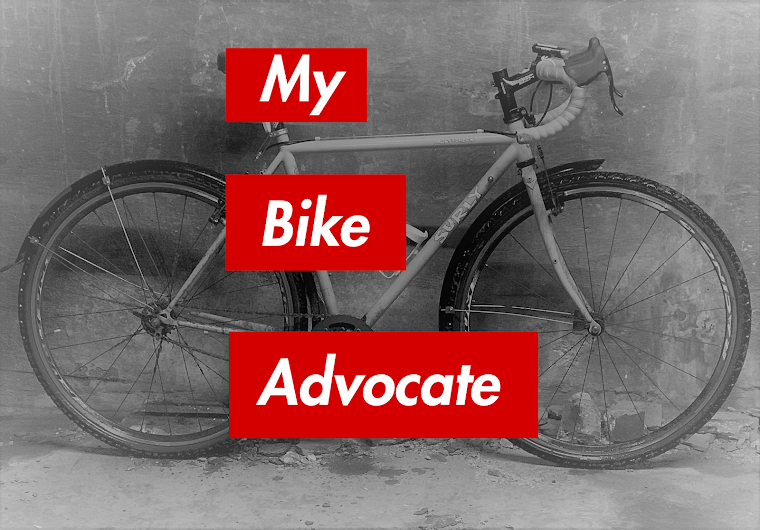 My Bike Advocate: Joining The Tribe. . .
For many years I worked with a much older attorney who used to talk about the strength of numbers. The way he used to do it was amusing. He would describe a group of heavily armed soldiers in the old west peering out from the turrets of their high walled fort. They felt safe because they were big, firmly entrenched, and well supported. "If," he would say, "One of those soldiers peered over the wall and saw a single Indian glaring menacingly in his direction he would just think, Well, to hell with you." The old attorney would continue, "But, if the soldier looked across the way and saw a large number of Indians, organized and preparing to attack, well, then he knew he had a problem." Our law firm is proud to announce that we have joined a tribe (of sorts) of attorneys committed to representing bicyclists nationwide, Bike Law USA. Jim Freeman, myself and our committed staff have always been committed to representing bicyclists throughout Illinois. Now we will continue to do it with the support of a nationwide network of bicycle accident attorneys. Mind you, Bike Law is no internet marketing gimmick. We wouldn't bother with it if it was. Bike Law is the brainchild of long time South Carolina bicycle attorney, Peter Wilborn, who has represented hundreds of bicyclists injured by motorists, dangerous road conditions and unsafe products. He is a former bike racer and present bike enthusiast and commuter. He is one of us. He founded Bike Law as a means of bringing together lawyers committed to working with cyclists to unite in strength, to form a collective to fight for the rights of bicyclists. Bike Law is also Ann Groninger in North Carolina, Amy Benner in Tennessee, Bryan Waldman in Michigan, Vance Preman in Missouri and Kansas, Charlie Thomas in Mississippi, Louisiana and Texas, Jason Crawford and Brian Weiss in Colorado, Jackie Carmichael in Utah and former U.S. Olympic cyclist, Bob Mionske in Oregon. Each is a lawyer fighting for cyclists. Each Bike Law attorney does more than just represent injured bicyclists. They write about cycling and the law, and work to educate cyclists and motorists alike about making the road safe for all users. Bob Mionske is the author of Bicycling & The Law, the go to book providing an overview of what the law is and how it has developed. Freeman Kevenides Law is honored to be a part of this esteemed and committed group.